Coxmoor V The On Course Foundation. 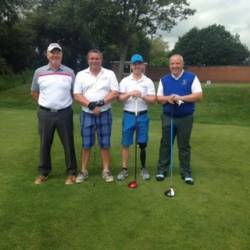 This is a charity which encourages access to golf and the golf industry to disabled military veterans. 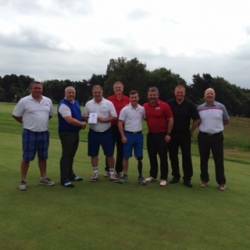 Here Sean Musson presents a Fourball voucher as an auction lot for the charity. 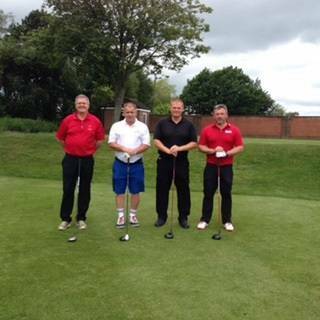 Coxmoor Team: Captain; Sean Musson, Past Captains; Paul Orton and Jeff Beaumont, and Past Vice Greens Chair; Glenn Elliot.